Home food Reviews Sunday's cheat day at Wah Kee! Sunday's cheat day at Wah Kee! 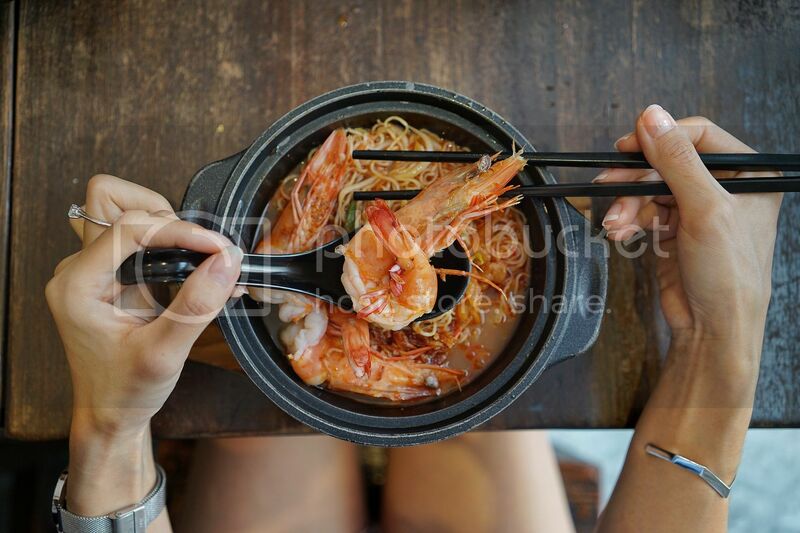 Sunday is cheat day at Wah Kee Big Prawn Noodles! 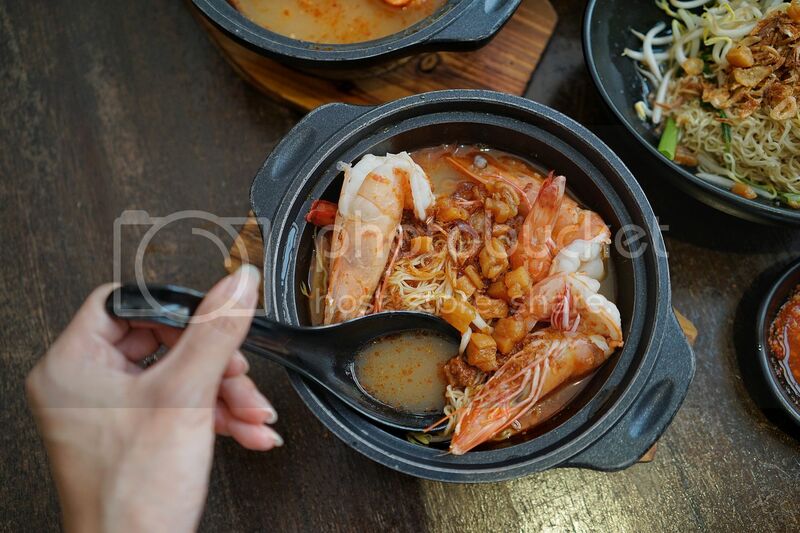 Zonia, Alvin and Jason are big fans of prawns so Wah Kee is always a good idea for them. 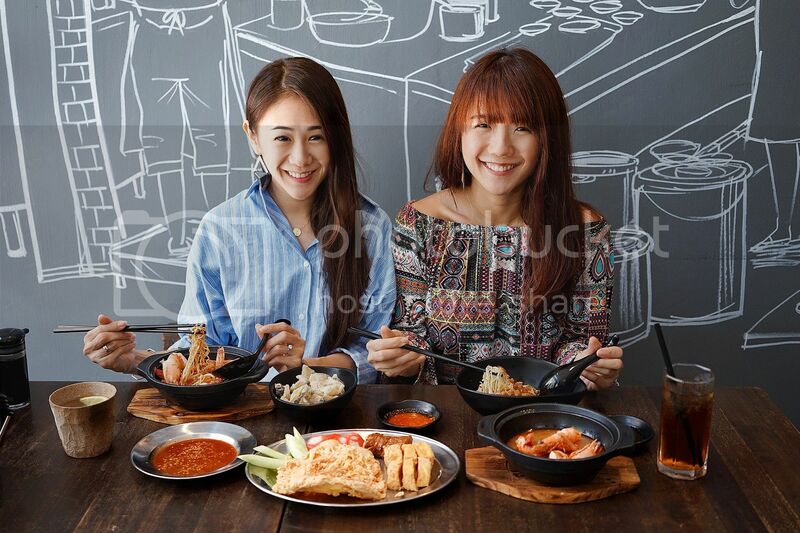 Wah Kee's Flagship outlet is conveniently located at Esplanade. Zonia and I made our own way there by public transport! We stopped at Cityhall MRT and took the short Citylink walk and was at Esplanade before we knew it! 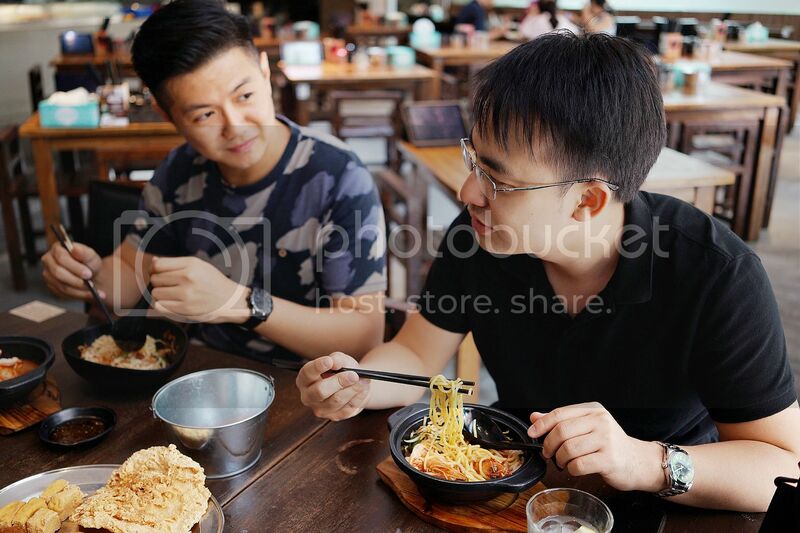 Zonia and Jason ordered the Prawn Noodles- Mee Kia dry. 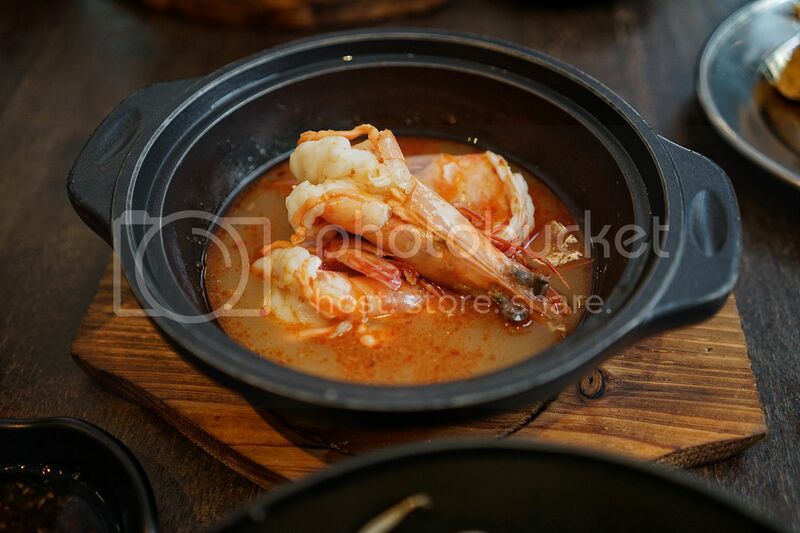 They opt for non-spicy and the $12 portion which gives them 3 big prawns in a separate claypot bowl of soup. 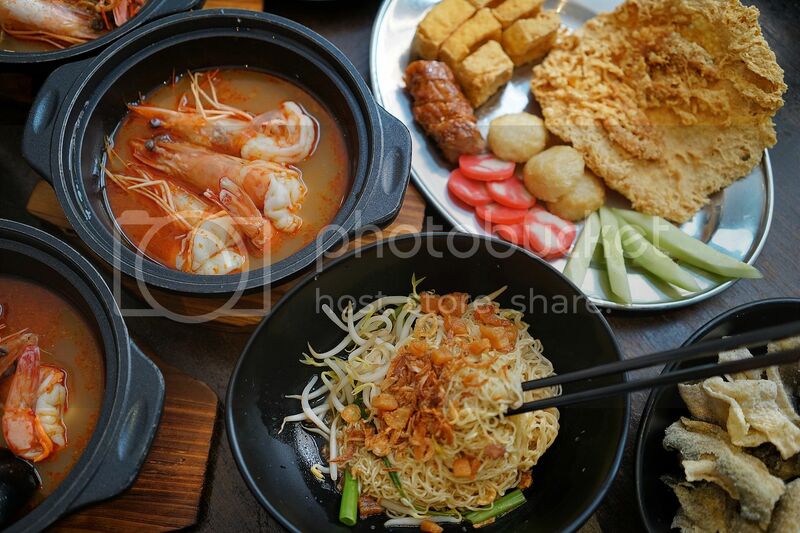 Alvin and I chose the other option, Prawn Noodles- Mee Kia Dry for me and Yellow Mee and Thick Bee Hoon for Alvin. Spicy for both of us! I always prefer my noodles in soup therefore I chose this option! Cause the claypot is kind of small, there wasn't much soup. Especially after spending some time taking the above photos, it got a little drier. We ordered 2 sides to share. 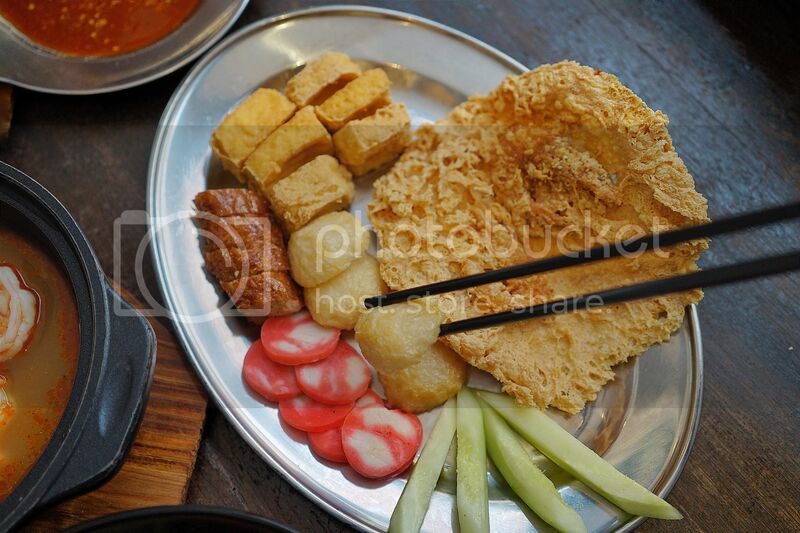 The new on menu Niong Hiong and Fish skin which are both my favorites! 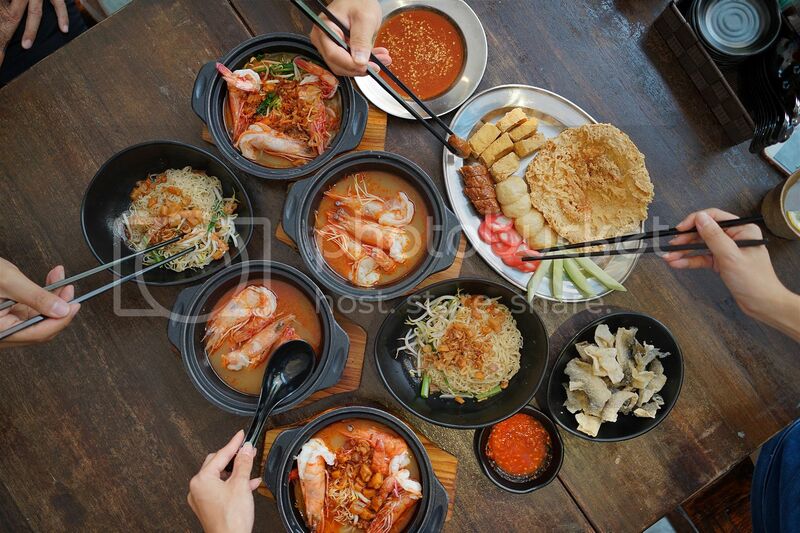 I actually enjoyed these sides more than my prawn noodles while my 3 food buddies enjoyed the prawn noodles so much. Alvin was lucky to get 1.5 bowls cause I kept aiming for these crispy side snacks!